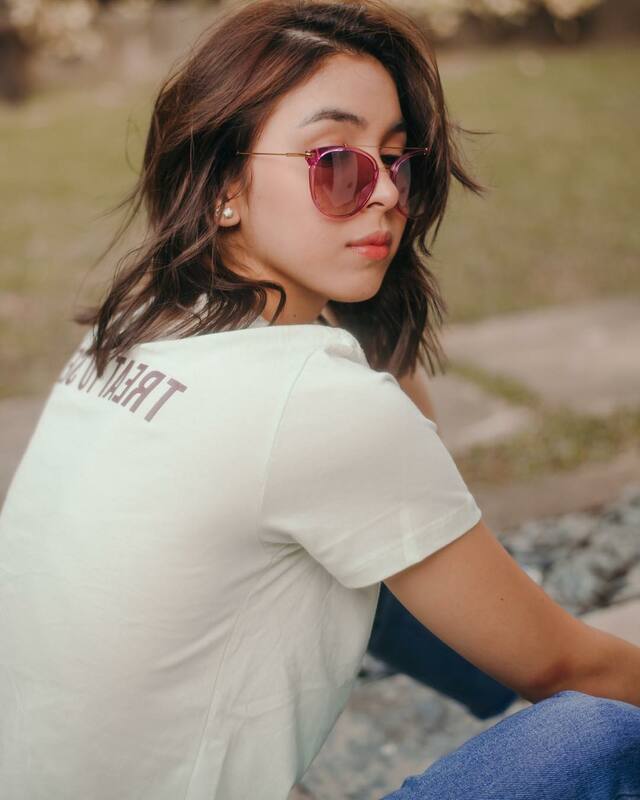 Julia Barretto has always been described as an It Girl, and I agree. She and her other contemporaries have been making waves in the showbiz industry, bringing a new breed of entertainment to fans. She has starred in a number of local rom-coms that have become iconic in their own right. Julia comes from an established showbiz family, and this is something a lot of people know. But, she has worked very hard over the years, and through grit and determination, made a name for herself in the industry. She has been surrounded by smart, successful, and talented women who have made their mark. This has channelled in her confident personality. I think Julia is empowered because of her confidence, and through this, she reminds her fans (especially girls) to take time for self-acceptance. She’s very young, but I admire her maturity and kindness. Today on the blog, I want to share with you some of Julia’s insights on empowerment that ring a bell with any woman, young or old. Sarah: Are there certain things women should do to become more confident? Julia: It’s really all about acceptance. That’s the first step and the key to becoming more confident. You need to be able to accept your flaws or any imperfections, and be content with the way you were built and made to look. This is important. It’s also very important to do things for yourself and not for the sake of validation from anyone else. Stick to what you believe. If you think you look alright, then most probably there is absolutely nothing wrong. If you feel like you can improve on something, and if it will make you happy or more confident, then go for it. Don’t take any judgments from anyone. The moment you accept and be content with yourself, it changes your whole perspective in life, and it changes the way you think and feel. It really almost feels like magic. S: Do you think there is a gender equality in your industry in the Philippines right now? J:Yes definitely, and I am proud to say so. I’m so proud that this generation has become so open and accepting of other people to the point of being the first ones to defend or stand against anyone who shows any sort of inequality. J: An empowered woman is a woman with pride, dignity, wisdom and grace in every situation given. S: What advice would you give someone who looks up to you? J: Be content. It’s easier said than done, but being content changes your life and outlook. It makes you appreciate the things you have now, the present and what is [to come]. Learn acceptance and being able to surrender. You need to accept things you can’t change and surrender when things are not in your control anymore. Learn kindness. This may be cliche, but it has its healing effect on other people. It is contagious, encouraging and powerful. The kinder you are, the more beautiful you become. When you are kind to the universe, the universe will be kind to you. I do believe that kind people are the most beautiful, and this does wonders to the way you see yourself and others. Do you agree with Julia’s thoughts? Leave me a comment below! I have one last blog in this series, so don’t forget to check back soon!